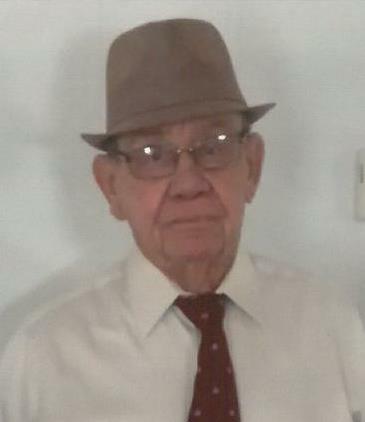 Bill Edward McDaniel passed away at his home on Sunday, November 11, 2018 at the age of 88. Bill was born in New Augusta, MS to Claude and Sophie McDaniel on August 15, 1930. He served in the United States Navy. He retired from Ingalls Shipbuilding Maintenance Department after 42 years of service. Bill was a member of Pine Lake Baptist Church. He was loved by many and enjoyed the simpler things in life, his family, grandchildren, great grandchildren, and friends. Bill was a “people person” and he loved sharing stories about his antique cars and of course his grandchildren. In addition to his parents he is preceded in death by his wife Myrtis McDaniel; daughter, Debbie Fountain; siblings, Red and Coy McDaniel, Lois Robinson, and Edna Honnel. He is survived by his daughter and son-in-law, Terri and Alton Jones of Vancleave, MS; son, Neil McDaniel of Ellisville, MS; 8 grandchildren, Shane and Kerri Fountain of Fredericksburg, Iowa, Nichole and Cory Johnston of Vancleave, MS, Ryan and Johnette Fountain of Hurley , MS, Tyler Fountain of Vancleave, MS, Shad and Heather Jones of Vancleave, MS, Jonathan and Katie Watts of Surprise, AZ, Victoria and Jay Hunt of Ocean Springs, MS and Amanda and Ken Rice of Ocean Springs, MS.; 13 great grandchildren, 3 brother-in-laws, 1 sister- in- law, very special companion, Debra Wages and many nieces , nephews and other relatives.